Hybrid fern combining height and strength of one parent and silver-green shimmer of the other. 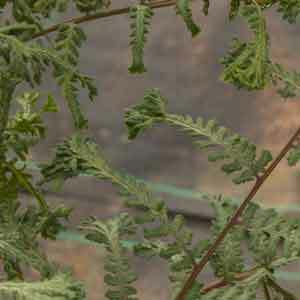 Has deeply crested fronds and stands out well in a mixed fern planting. Deciduous and drought may force dormancy so prefers humus woodsy soils.